Fleet management apps have come a long way in helping fleet owners manage their day-to-day operations efficiently. Tailored fleet management systems such as the one developed by Eyeride Florida, collect data, organize it and then generate reports while maintaining a digital trail of all services. Other than improving the efficiency of operations fleet management systems, they offer a host of other benefits. Keep track of driver behavior which is crucial for planning driver retraining sessions. Generate vehicle diagnostic reports that can be used to detect any malfunctions ahead of time. The GPS tracking systems improve your fleet’s security. One of the standout features of fleet management systems is the use of GPS technology that is web or cloud-based, meaning the data can be accessed remotely. GPS technology can be used by fleet owners to find out the whereabouts of their vehicles at any given time. This is vital as it can be used to track down lost/stolen goods or vehicles. Besides that, GPS systems can help drivers find the best routes, saving a few hours and gas that could have been lost on traffic. All in one fleet management apps are designed to simplify managerial work. These apps can be used to monitor business operations right from the booking stage at the yard to the delivery of goods right at the intended owner’s premises. Additionally, fleet management apps reduce workload and paperwork significantly, saving time that would have been spent doing data entry. Also, they cut out instances of wrong data entry due to human error. Fuel is the most significant expense when running a fleet company. 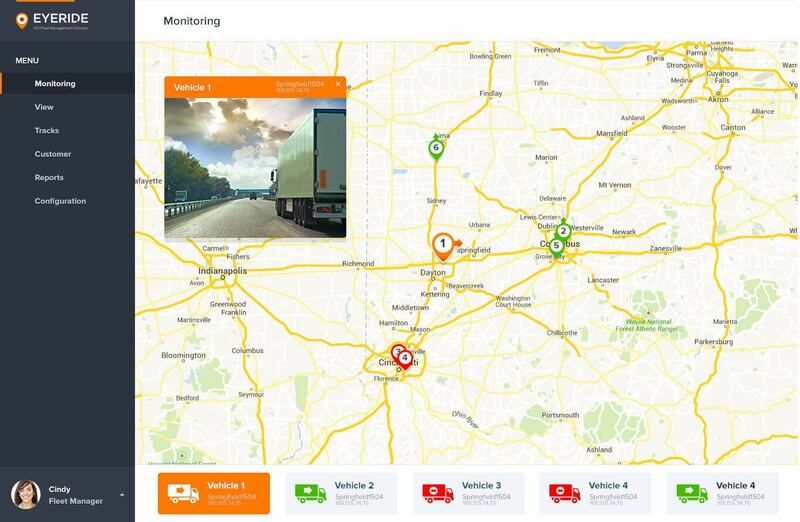 Fleet management software is equipped with fuel tracking systems that monitor fuel consumption. This allows fuel readings to be recorded and transmitted right to the central office for due payment, eliminating instances where rogue drivers could siphon the fuel for personal gains. Fleet management apps also generate vehicle diagnostic reports that can warn of impending malfunction ahead of time. And the apps can be used to request emergency services in case of mechanical breakdowns. Research has shown that drivers tend to be more careful when they are being monitored. As such, equipping your vehicles with driver and passenger cameras can help improve safety. Besides recording driver behavior, there are telematic devices present that can allow remote control of the vehicle. Such as remote brakes in case of brake failure or if the driver gets into a tricky situation. Fleet owners with a large number of cars to monitor will most certainly have a vast database. And, after years of operations, your database will most certainly grow, making manual searches and report generation challenging. Nonetheless, with a fleet management system, you will be able to run searches no matter how huge the database gets or how quickly. Besides, the software can help fleet managers generate periodic reports with just a few clicks.